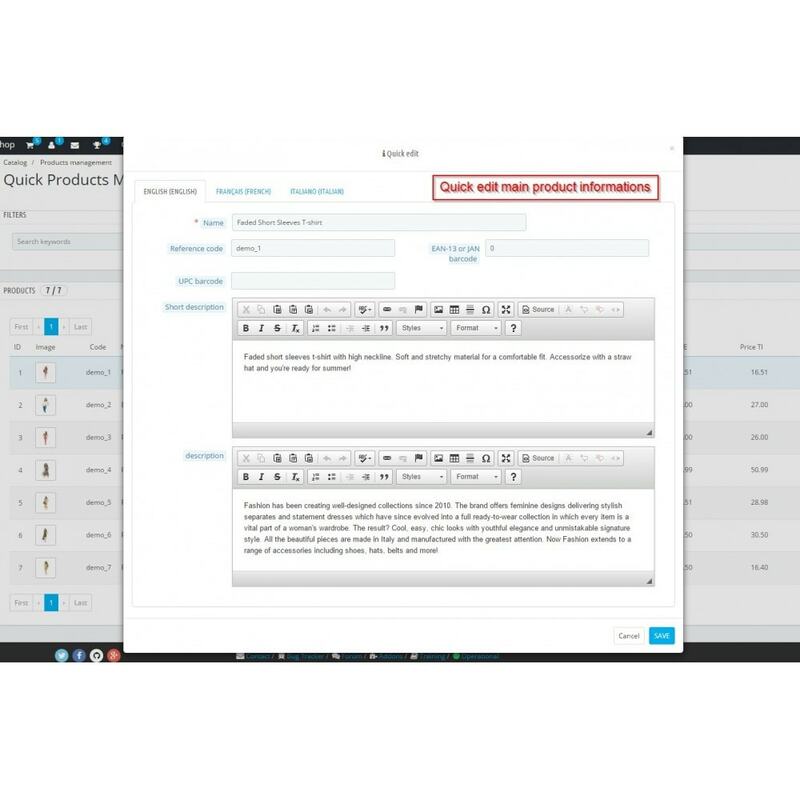 Save time by modifying your product catalog. 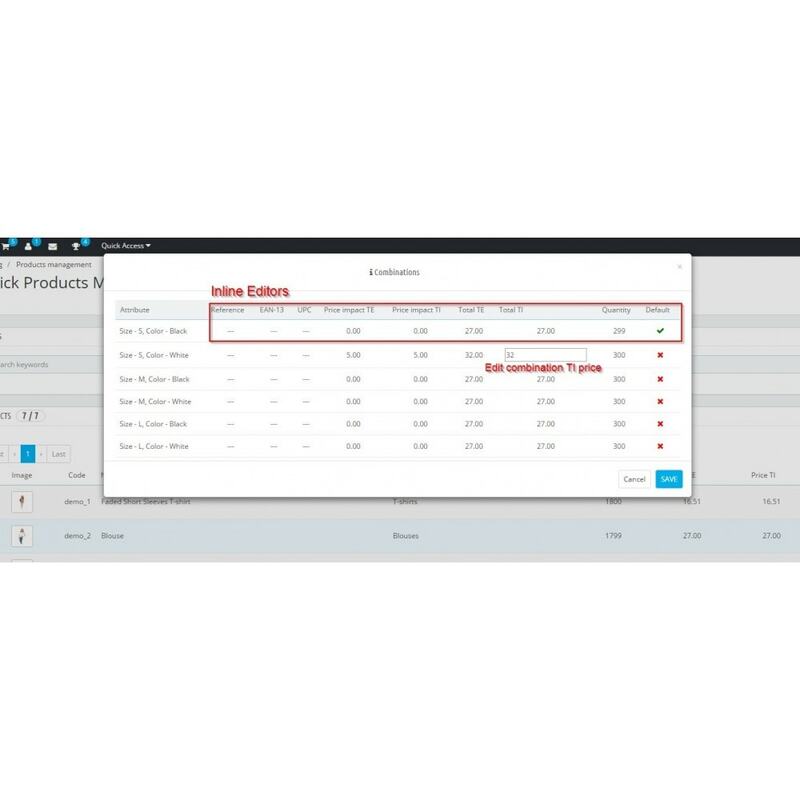 This module allows inline editing of the main characteristics of products thanks an intuitive, fast and efficient interface. 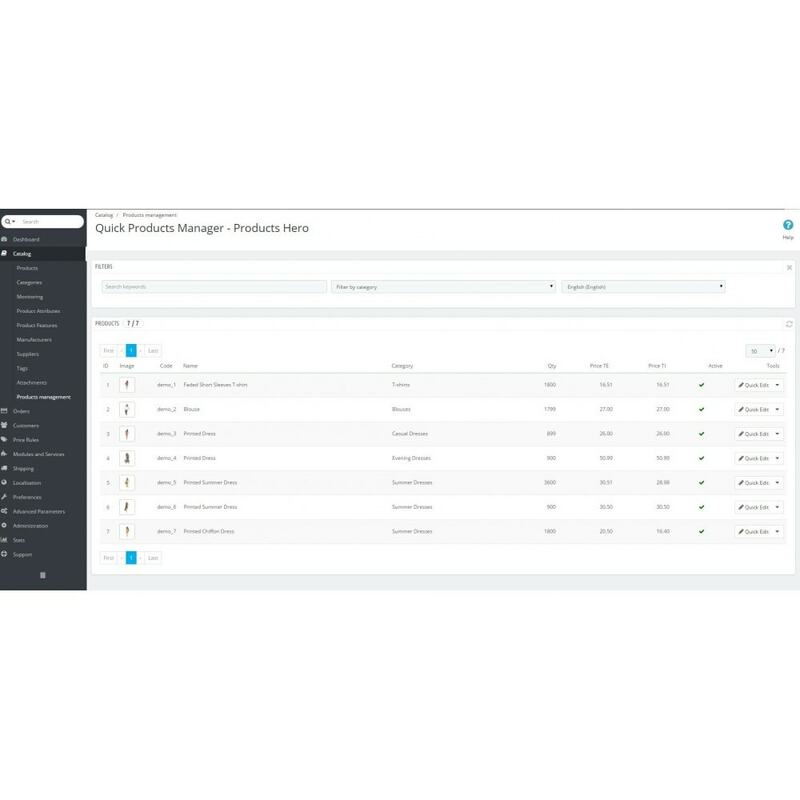 Manage your products quickly and efficiently. 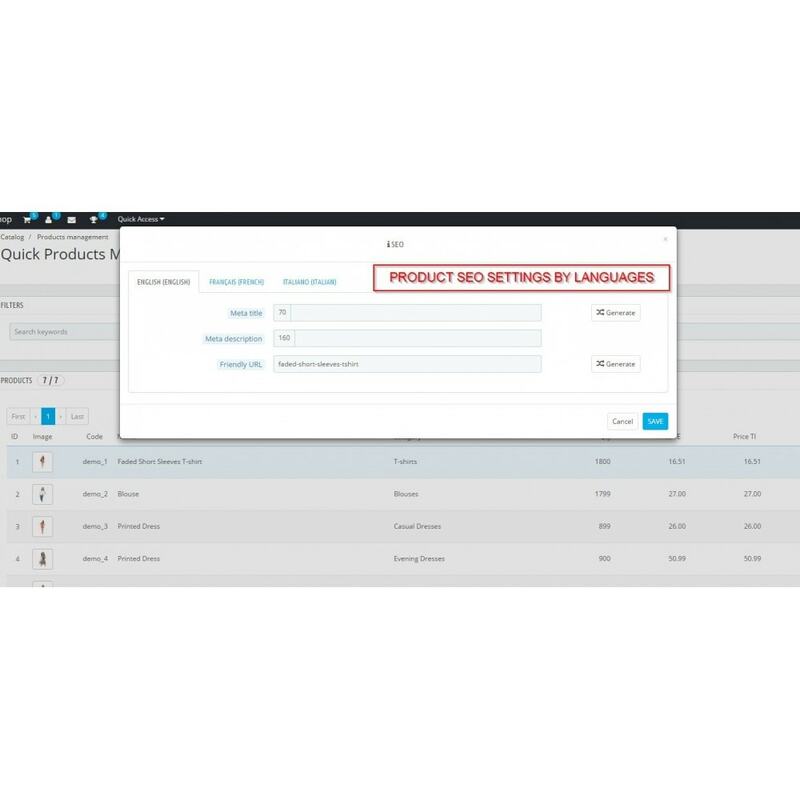 With one click you can change the name, reference, prices (TE and TI), quantities and the default category of your products. 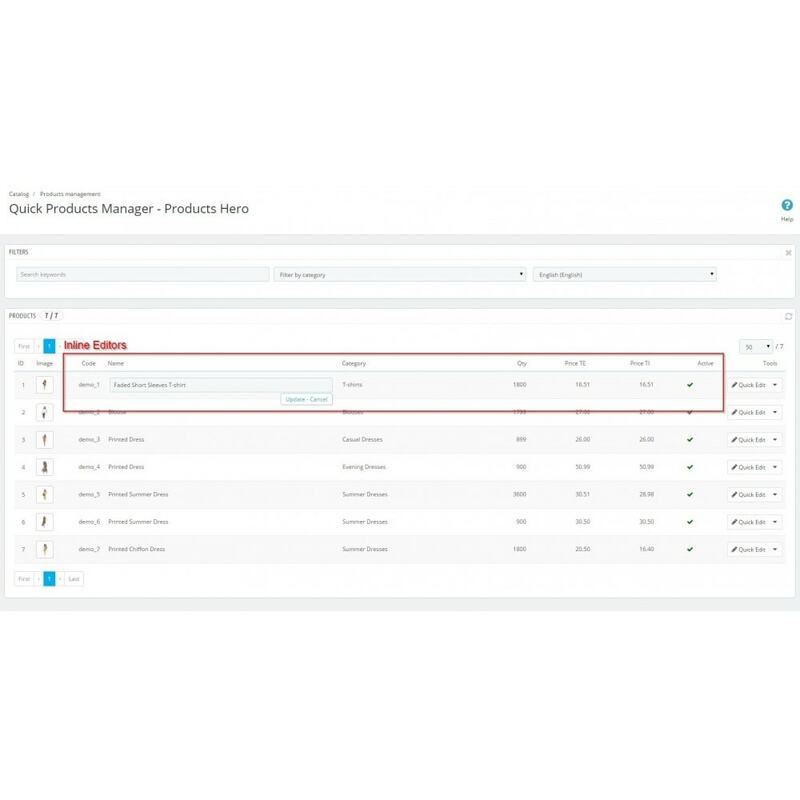 A quick search allows filtering products by keywords or categories. 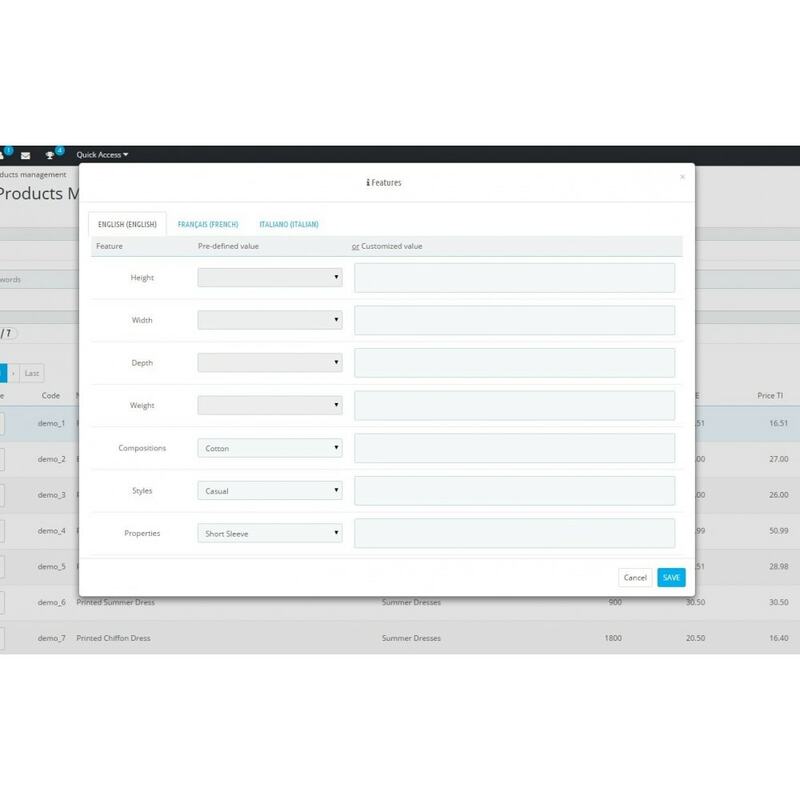 You can also update SEO details, features, combinations in new optimized interfaces.